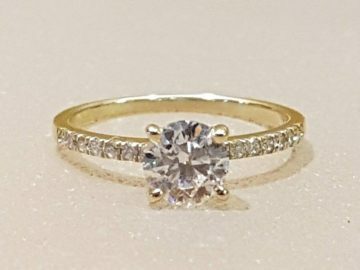 It’s a Valentines Week Auction and we have lots of lovely things to buy for your loved ones! 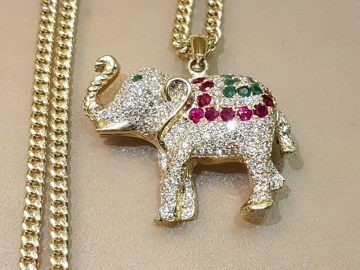 Some impressive jewellery including Estate Suite Columbian Emerald Necklace, Bracelet and Rings, 1 carat and larger Diamonds, Exquisite hand made Golden Elephant encrusted with Diamonds, Rubies and Emeralds, Bulgari Pearls, 3 carat Tanzanite ring and more! Join us for Sparkling wine, chocolate hearts and other treats this Saturday 9th February at our Limassol Saleroom. Highlights of the Jewellery include…. 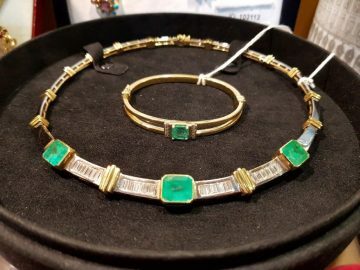 Come and see the Jewellery on our viewing days on Thursday 7th and Friday 8th February or on the morning of the sale!